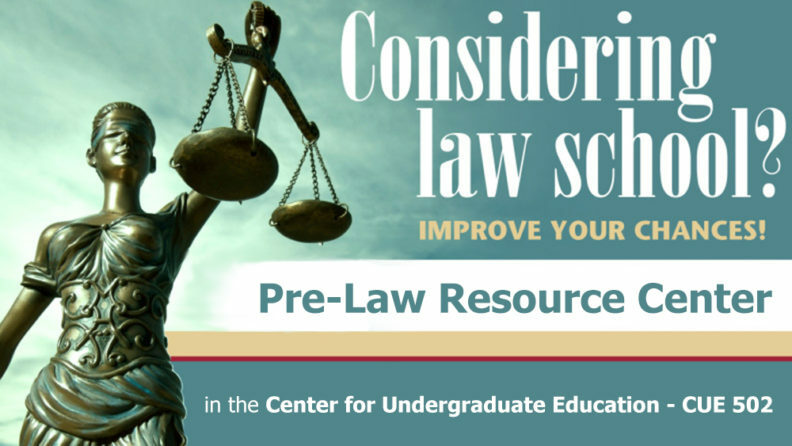 Whatever your major, the Pre-Law Resource Center can put you on track for success in law school and beyond! Personalized guidance and support for WSU students to succeed in law school admissions. Access to current and past official LSAT prep materials and study/collaboration space during center hours. Access to regional law school materials and their admission requirements all in one location. The annual Cougar Pre-Law Day features WSU alumni who are active legal professionals and regional law school admissions representatives. Other events are offered throughout the academic year, such as guest lectures from those in the legal, civil service, leadership development, and educational fields pertaining to citizenship and the law, as well as various panel discussions and workshops. Make your appointment with success!